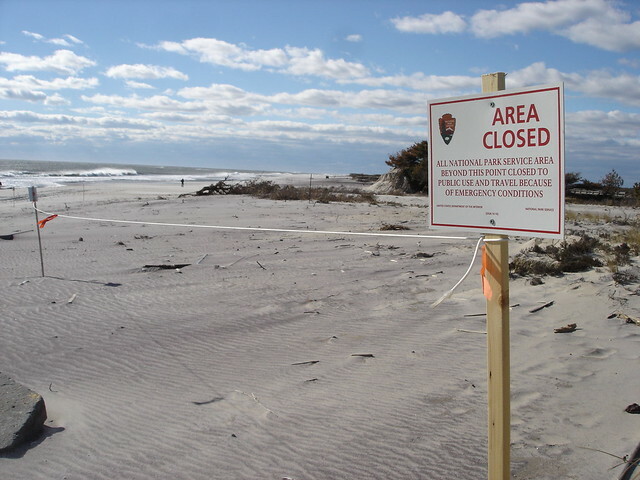 The Park Service published its first report on threats from sea level rise. The National Park Service has released its first-ever report on how the impact of sea level rise and flooding from storms could impact national parks around the country. More than a quarter of the property managed by the park system is on a coast, according to the report, and many face increasing threats from rising sea levels connected to global warming and increased threats of flooding from storms in the coming decades. The report had been edited to remove references to the human impact on climate change, causing Democrats to call for an investigation into whether the report was edited to remove references to the human impact on climate change, after a report from a nonprofit journalism organization reported that references to the human impact on climate change were removed from a draft of the report earlier this year. The authors wrote that the National Park Service should be aware of the possible impacts of combined sea level rise and storm surge and that the report will help the National Park Service plan how to adapt. 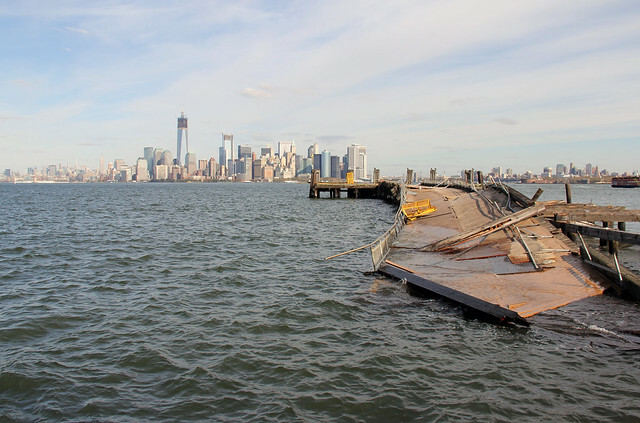 "Sea level change and storm surge pose considerable risks to infrastructure, archaeological sites, lighthouses, forts, and other historic structures in coastal units of the national park system," the authors explained. National parks already face more than $11 billion in backlog for maintenance. Flooding or hurricanes can cause even more expensive damages. Repairs to national parks after Hurricane Sandy cost more than $370 million, according to the report. The new report released Friday found that parks in Washington, D.C., face the highest sea level rise by 2100 but that the parks are not directly on a coast and that parks in the Capitol region are very close together so each park would be affected differently. In the case of a category 2 hurricane, for example, the report found that as much as 3 meters of flooding could travel up the Potomac River, potentially causing flooding in almost every park in the Capitol area, including the museums and war memorials on the National Mall. "Such a storm surge could be worse by the end of this century given projected sea level rise around the Capital region of up the 0.8 meters," the report says. National parks in the Southeast, especially the Everglades National Park, face threats from storm surge that are exacerbated by sea level rise, the report found. By the year 2100, the Wright Brothers National Memorial could be completely flooded if hit by a hurricane category 2 or higher, according to the report. Research shows that global sea levels are changing because rising global temperatures from greenhouse gas emissions cause ice to melt, especially in places like Greenland and Antarctica. The report published by the National Park Service uses models from the United Nations' climate change panel, National Oceanic, and Atmospheric Administration, and research from the University of Colorado Boulder to estimate how national parks could be affected by sea level rise if greenhouse gas emissions continue at current levels. The lead author of the report, Maria Caffrey of the University of Colorado Boulder, wrote on her website that a draft was finished in February 2017. The draft had been delayed and officials from the National Park Service deleted references to humans' role in climate change from draft versions of the report, according to nonprofit investigative news organization Reveal News' April report. Terms like "anthropogenic climate change" and "human activities" releasing carbon dioxide were crossed out of previous drafts of the report, according to Reveal News. The phrases were in the version made public on Friday. A spokesman said in an email to ABC News that the Park Service was confident the report was accurate and the final language of the document was a result of authors resolving conflicting edits. "During multiple rounds of review, recommendations and suggested edits that focused the report on issues specific to national park units were offered for consideration by the author team. As often occurs, the author team experienced disagreements regarding the relative merits of incorporating some of the recommendations received before the report was finalized," the National Park Service spokesman said, adding, "The scientists preparing this report were doing just that when working drafts of the report were published in the news media before the authors had completed their deliberations." Democrats requested that the Interior Department's internal watchdog look into whether the department was censoring scientists who worked on climate change, which would violate the agency's scientific integrity policy. The Inspector General Office has started looking into questions posed by lawmakers, according to Nancy DiPaolo, the Interior Department Inspector General's spokeswoman.